The company’s CEO, Brent Pearson, previously worked for Monster.com as senior vice president for strategy & planning, and said he believes Reffind can provide the next disruption in recruitment. Reffind has made an app for for Apple iOS and Google Android mobile devices to take the friction out of that process, he said. An employer can use the app to create a job on their mobile handset with a Twitter-length description and then push the job out to a selection of their phone contacts. 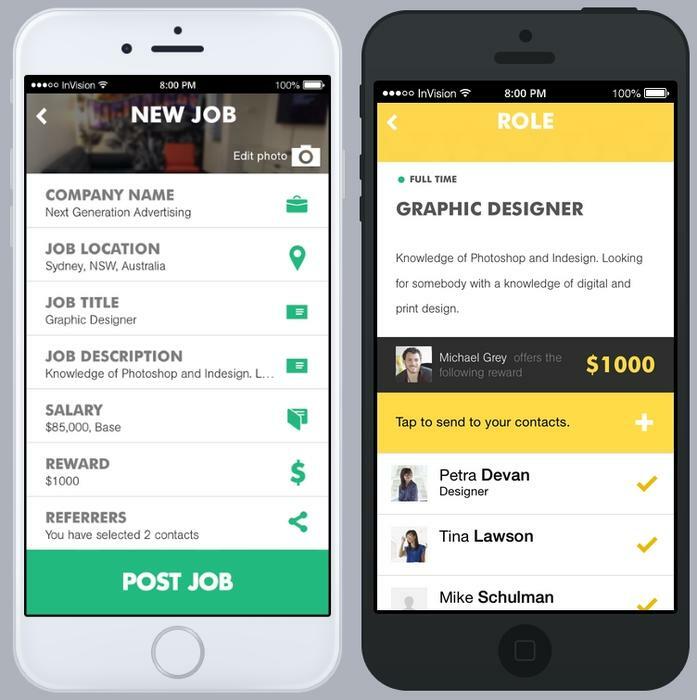 The app distributes the job to those contacts via SMS or email. Recipients do not need the app to receive the message, but must download it if they want to refer someone. Pearson believes the Reffind app is easier to use for referrals than LinkedIn. Small businesses in particular tend to have trouble getting started with the social network, and it’s easier for them to rely instead on the contacts inside their mobile handset, he said. Reffind could be the next disruption in job recruitment, the CEO said. “Job boards were the first wave of disruption,” he said. Before websites like Monster – where he used to work – recruitment agencies locked up the market because they controlled ad space in newspapers, he said. LinkedIn provided the next wave of disruption, this time for head hunters, he said. Reffind has competitors, but most are focussed on integrating their referral systems with applicant tracking systems, he said. Adding Reffind, in contrast, is more like plugging in a TV set-top box, he said. Reffind came out of Digital4ge, an incubator-style organisation that takes a “movie studio” approach to producing startups, said Pearson. Entrepreneurs pitch to the group “almost like a screenwriter would pitch their screenplay to a studio,” he said. If Digital4ge (pronounced “Digital Forge”) likes the idea, it will underwrite the entire business, including raising the capital from its network of investors and choosing the right person to manage the business. In many cases, the entrepreneur will step back and let someone else run the startup. Digital4age partners Jamie Pride and Ben McGrath founded Reffind, and brought on Pearson as an advisor. In this capacity, Pearson commuted to Sydney from his day job in New York. Reffind will officially launch in the first quarter of 2015 in the Australian market. After that, the startup plans to expand overseas first to the US and then Asia. Reffind has already released a beta version of the app for small businesses in Australia. At launch, the startup will also sell a version for medium and large enterprises that will connect to existing recruitment systems. Small businesses can post jobs for free and pay a flat rate to unlock the list of candidates that come in for the job. The enterprise version will have a subscription model in which organisations pay a monthly rate for as many job posts as they want to make. Pearson said he plans to keep Reffind headquartered in Australia, but the company will have small sales offices in each international region. 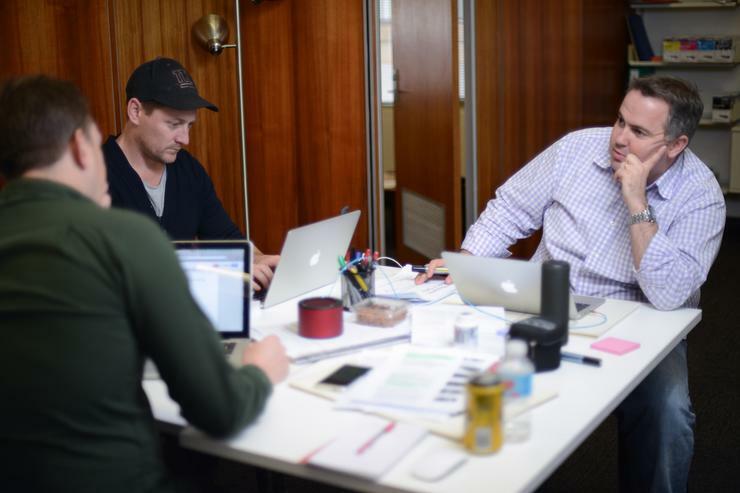 The Australian startup scene “certainly seems to be gaining momentum,” said Pearson. Having moved from the US only in the last 4 to 6 weeks, Pearson described himself as fresh to the Australian entrepreneurial environment. However, he said his initial impression is that Sydney seems to have a pretty active startup scene, with several hot companies on their way up.